The latest installment of the animated video interview series “California Inspires Me”, this time featuring James Franco, in an ongoing partnership between Google Play, BBH LA and the Pop-up Magazine publication California Sunday, celebrating how the state of California has shaped and influenced careers of successful artists. For the November Issue, BBHLA interviewed actor, writer, artist, teacher James Franco. 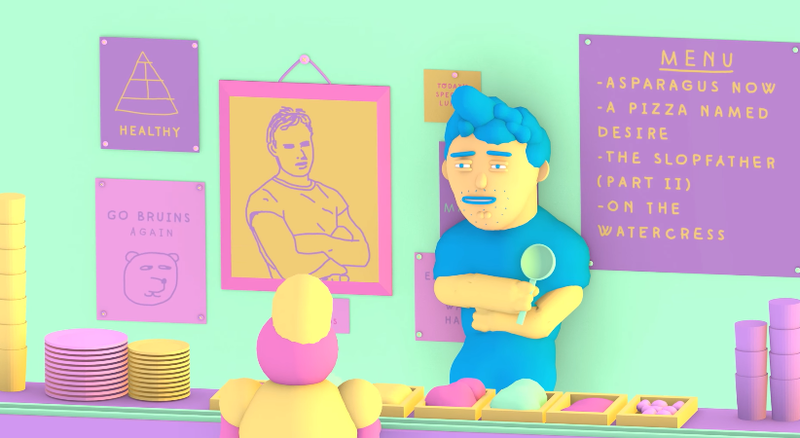 In his video piece, animated by Julian Glander, Franco discusses his parents, the books, movies and actors that inspired him, his entry into acting and growing up in Palo Alto. James shares stories from growing up in California, from his bad-boy days in Palo Alto to a brief stint in the UCLA cafeteria. Franco shares the inspiration beneath his many hats as a performer in California Inspires Me, a Google Play x California Sunday Magazine collaboration.